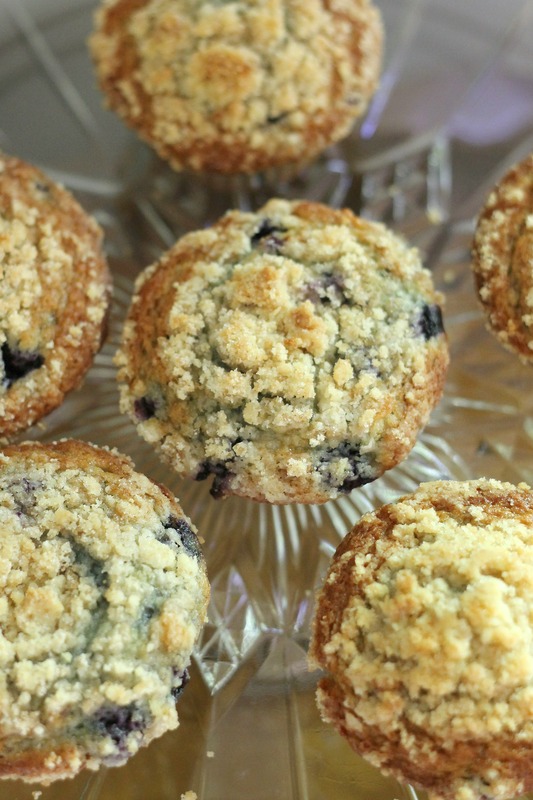 Our mom has always enjoyed making muffins, particularly blueberry ones. Too often, though, blueberry muffins are dry in some spots and then overly moist and soggy wherever blueberries are. Thankfully, these are perfect. The base is made with canola oil, sour cream, and buttermilk, which all prevent it from being dry. The streusel on top adds the perfect buttery crunch (there’s turbinado sugar in it!). We used small frozen wild blueberries, which I prefer in muffins because they don’t detract from the overall texture. We added lemon zest and vanilla to ours. These were a big hit, especially with our youngest brother, who, picky as he is, ate three of these! We’ve been enjoying having a couple weeks off for job-shadowing for our senior capstone project. It’s hard to believe we’ll be graduating in only a few weeks and then heading off to college in the fall! For any wondering readers who may want to know, Leah and I are going to the same college. Luckily, we have chosen different majors, won’t be rooming together, and aren’t attending a small school. We didn’t originally plan on going to the same place, but that’s how it worked out! Heat oven to 400 degrees. Add 1/3 cup flour, 1 1/2 tablespoons granulated sugar, and diced butter to a food processor bowl. Pulse for a few seconds until the mixture forms small crumbles and is somewhat fluffy. Pour into a small bowl and whisk in raw sugar. In a small bowl, whisk together flour, baking powder, baking soda, and salt. Set aside. In a large bowl, whisk together canola oil, sugar, buttermilk, sour cream, eggs, lemon zest, and vanilla. Gently fold in flour mixture until just combined (batter may be slightly lumpy). Gently fold in blueberries. Divide between 12 paper-lined or greased muffin cups in a muffin tin. Bake for 17-20 minutes, or until a tester inserted in the center of a muffin comes out clean. Serve as desired. Enjoy! Congratulations on college! I will make these for my son who is about to graduate high school next week. Hope that you can continue on with your baking and cooking. Thank you! Congratulations to your son too (he’s lucky to have such an early graduation date!). I am hoping that we will be able to continue cooking in college- we’ll be living in a dorm, so probably won’t have much access to a kitchen. We will probably have to bake a lot over Thanksgiving and Christmas to make up for it!